I was in the garage recently working on my brand new Honda ATV (insert short maniacal laugh here). Not sure how I made it through 44 years without this machine!!! The youngest child proclaims that she wants to clean up the play house so she can, in fact, play in it later. I stick my head in the diminutive structure for a general safety check. Dust... check. Dirt... check. Pretend kitchen appliances with free-range wasp nests along with free-range wasps... check. Coast looks clear; dad's jobs is well done! I return to the garage to curse Honda's engineers and their tiny, little hands under my breath. A few minutes later the 7 year-old dictator marches through the garage, into the house and recruits her 11 year old sister to "help". I do not know what means with which she accomplished this but I'm sure it involved bribery, deceit and possibly physical harm. Garbage cans were moved. Brooms were shouldered. General cleaning was officially underway. Minutes later, quality garage-time peace and harmony was shattered with screams which actually could curdle blood. A bear? A chupacabre? An Ax-wielding killer awakened from a long sleep? Surely someone is bleeding or unconscious! With these sorts of screams, I'm expecting to see a femur, grey matter or at least a tooth. 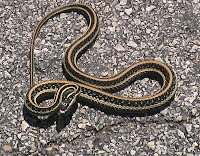 There, buried in the bowels of a long-forgotten pink backpack was a garter snake. 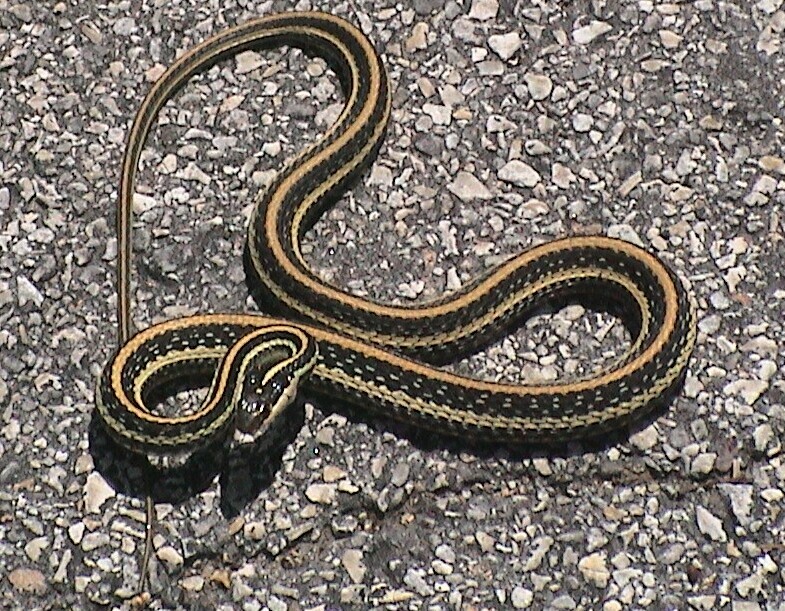 Not even a big garter snake. This poor, harmless snake has probably used this particular backpack as a home for months. He is now deaf. The next several minutes were spent wiping the blood from my ears, convincing the 7 year old that the snake does not need to die and that it is not, in fact, a black mamba (or any other mamba) while at the same time convincing the 11 year old that she did not "almost die" and that we are not going to move. At What Point Does an Animal Become Food? Ever have that "Not so fresh" feeling?